The NIF and Photon Science (NIF&PS) directorate occupies most of the northeast quadrant of the Laboratory, as shown in Figure 9-2. In addition to NIF itself, the NIF&PS directorate possesses laser labs, optics development labs, target development labs, optics processing facilities, and target fabrication facilities. 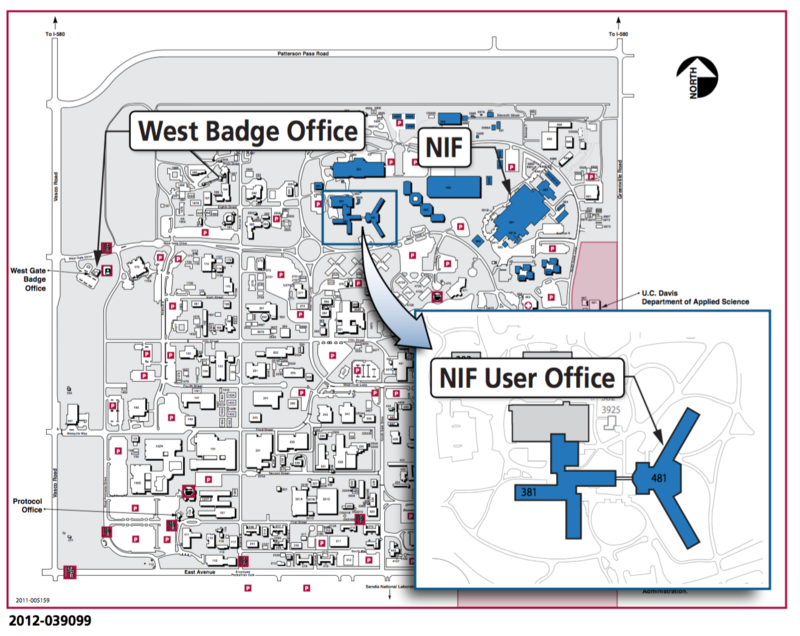 Further information on NIF&PS laboratory facilities is available from the NIF User Office. Figure 9-2. Map of LLNL. The NIF high-energy-density research campus, housing the NIF User and Visitor offices, is shown enlarged.